Traditionally, Chennai is a city that does not believe in flaunting its wealth and yet it hosts multiple high-end brands in the lifestyle and luxury segments. Designer boutiques and fashion outlets in the city woo the style cognoscenti with cuts and collections that are a blend of the contemporary and the classic. 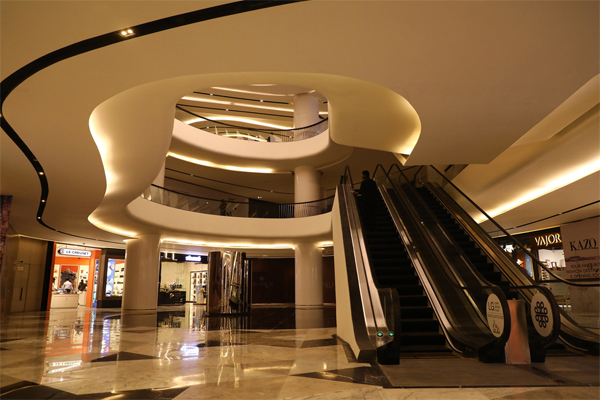 It is no wonder then that when luxury shopping destination Palladium decided to open its second avatar in the country (the first one is in Mumbai), it chose the capital of Tamil Nadu to make its appearance. And so it was last Saturday, that the mall – under the able hands of Atul Ruia, joint managing director, The Phoenix Mills Ltd., and Vijay Choraria, managing director, Crest Ventures Ltd. — threw open its doors with flourish and panache. Under its umbrella, it brings together renowned global brands that are poised to add to the fashion quotient of the city. Size matters: Ensure that you are wearing sturdy walking shoes if you intend to spend your day here. For, spread across nearly 2.50 lakh square feet with 75 stores (some are yet to open) across three levels, it gives you ample reason to wander around – and indulge in window shopping and retail therapy. 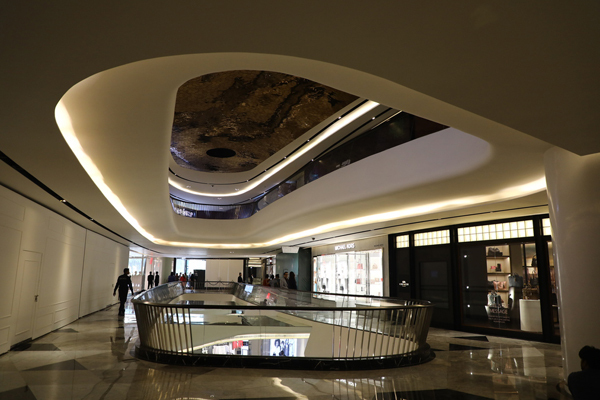 It provides a unique shopping experience in its aesthetically designed ambient spaces. 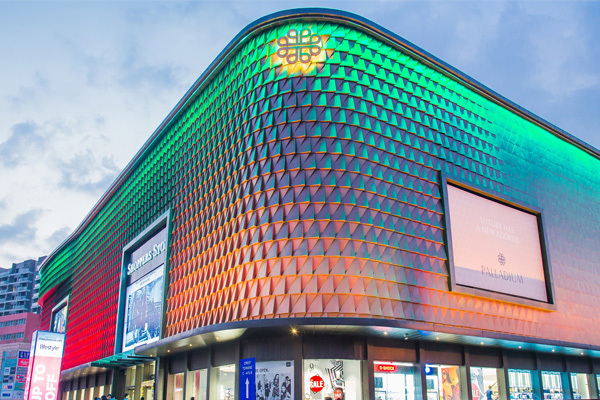 Brand-standing: Names like Canali, Tumi, Michael Kors, Hugo Boss, Shaze, Le Creuset, Meena Bazaar, Vajor, Coverstory, Kazo, Cadini, Nike Kicks Lounge, Being Human, Springfield and New Balance have opened their first stores in Chennai within the confines of Palladium. Soon, designers like Anita Dongre too will open their first flagship store in the city here. Aesthetic design: Its architecture draws inspiration from artists and landmarks from around the world. The different elements are cleverly used so that they play on all the five senses. An internationally acclaimed architect blueprinted the masterplan while the interiors were facilitated by Urban Studio. The dome in the lobby becomes the cynosure of eyes with its video projections and doffs its hat to the Sistine Chapel. And when you take a look at the mirror claddings on the ceilings, you will realise that it pays a tribute to the famed Sheesh Mahal. And a closer glance will show how the sleek lines of the iPhone have been incorporated into its spaces and services. 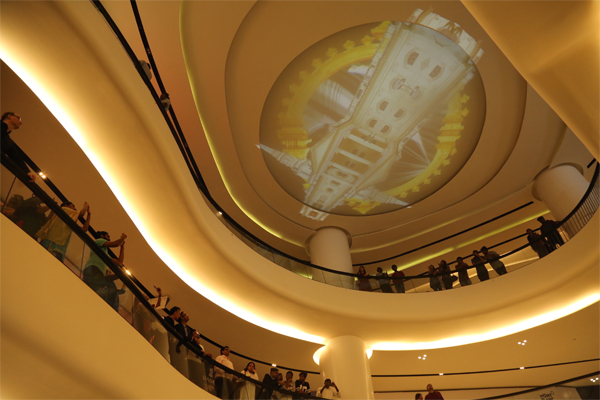 A showcase of art: After five years of artistic programming at the Phoenix Marketcity mall in Chennai, Palladium presents art installations by Patrick Rimoux (France) and Shilpa Gupta (India). Alongside artistic performances that enhanced the excitement at the launch, the ArtC programme at Palladium promotes contemporary art in India and creates an alternative space for all audiences to interact with art. Walk through its spaces – and those of the Phoenix Marketcity close by to enjoy a new definition of what art can be. 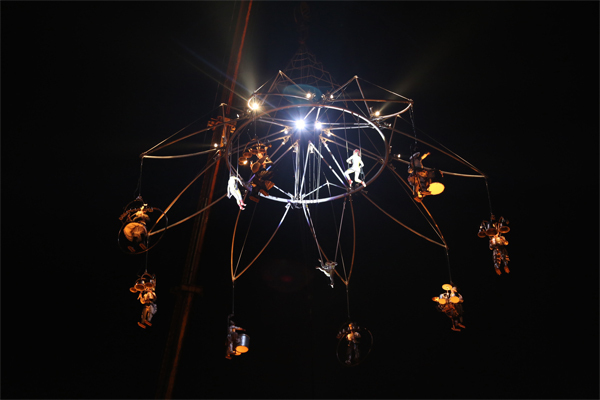 Of particular note at the installation was the outdoor dazzling artistic performance, ‘Celestial Carillon’ in association with Alliance Francaise and Bonjour India that was performed by Transe Express, a French artist collective. Shilpa Gupta’s installation ‘Shadow 3’ supported by The Foundation for Indian Contemporary Art also had the invitees making their way into the darkened booth for the interactive experience. All in all, it was an evening well-spent exploring the new space – and then living it up in the happening spaces of the Crest Club on the premises as the guests raised a toast to the new venture.